Comedian Russell Peters says Trevor has stolen jokes from him - and other comedians. 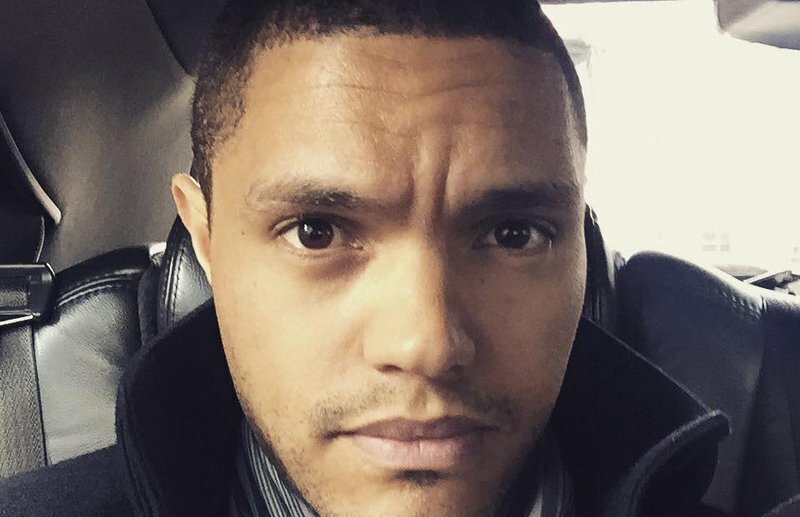 Will Trevor Noah ever get a break? The SA comedian, who made us proud after scoring The Daily Show hosting gig, is still making headlines. But it's not all good. Russell Peters' reaction to Trevor's new job is quite shocking. In an interview on Channel NewsAsia's 'Conversation With' show, Russell was asked if he's jealous of Trevor's appointment, and the Canadian comic replied with a swift “no”. Peters then added that Trevor is a thief. He said: "He's stolen material from David Kau, he's stolen material from myself. You don't borrow in this business. If you're a comedian, that's like stealing somebody's underwear and putting them on. That doesn't make any sense. Why would you do that?" This is not the first time Trevor has been accused of stealing other people's jokes. A few years ago, David Kau claimed that Trevor had used some of his material. David brought this up again at the Roast of Steve Hofmeyr in 2012, quipping that he didn't care about the Jay Leno Show because his jokes had already been on the show (via Trevor). When mahala.co.za asked Trevor about this, he responded: "Nobody owns comedy, nobody owns a premise, nobody owns an idea. Comedy is your personal take on a thing. Do you get what I'm saying?" He added: "Like half the jokes young black comedians are doing in America right now, Richard Pryor and Eddie Murphy were doing 20 years ago... Everything has been done before, there’s nothing new under the sun and in South African comedy there was a small group of guys, it was basically the Pure Monate Show guys, they were the forerunners of comedy." While some people continue to find fault with Trevor, Jon Stewart is rallying behind him. Jon, who's leaving The Daily Show in September, said on a recent episode of the show: "I know there was a large kerfuffle on Twitter. But I can say this without hesitation: Trevor Noah will earn your trust and respect … or not. Just as I earned your trust and respect … or did not." What a way to back your man! We are still #TeamTrevor and couldn't care less about the haters!